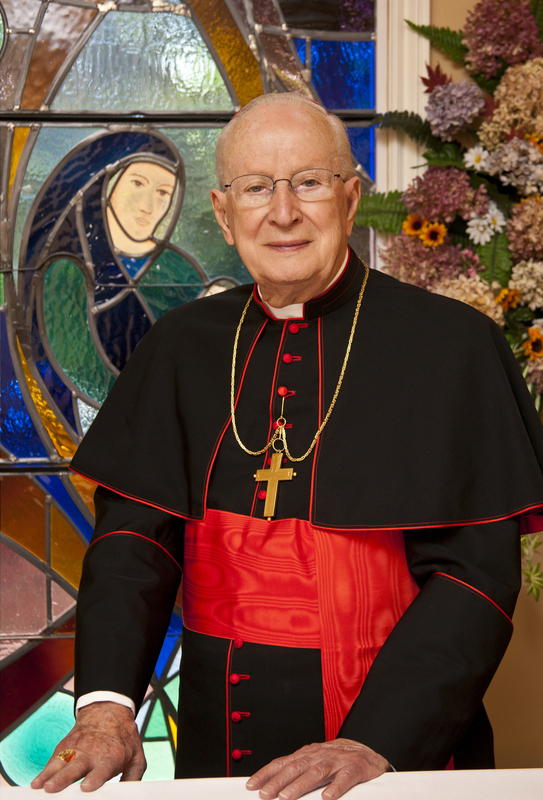 His Eminence Edmund Cardinal Szoka, a priest of Marquette Michigan, Former Bishop of Gaylord, Michigan, Former Archbishop of Detroit, Michigan, Cardinal Priest of Sant’Andrea e Gregorio al Monte Celio, Former President of the Prefecture for the Economic Affairs of the Holy See, Former President of the Pontifical Commission for the Vatican City-State and President-Emeritus of the Governorate of the Vatican City-State has passed away. 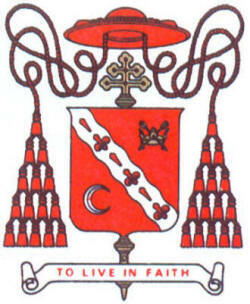 His coat of arms underwent several changes as he moved from Gaylord, to Detroit to the Holy See. The last version of his arms is below. May he rest in peace. This entry was posted in Uncategorized on August 21, 2014 by guyselvester.